Prepare gnocchi according to package directions and cool under cold water. Pat dry on paper towels. 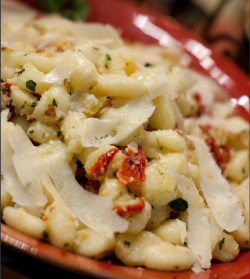 Place gnocchi and other ingredients in a large skillet over medium high. Toss occasionally to prevent burning. Cook until gnocchi is heated through.